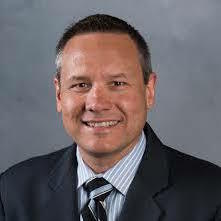 Jeff Joniak is in his 16th season behind the microphone as the play-by-play announcer for the Chicago Bears. In addition to hosting the Chicago Bears game day broadcasts since 1997, Jeff serves as WBBM Newsradio 780 and 105.9 FM’s Director of Sports Operations. Joniak and the Bears Radio staff earned the Peter Lisagor Award six times, presented for exemplary journalism. He has also received multiple Associated Press “Best Sports Reporting” awards for his show “Joniak’s Journal.” Joniak also earned the Silver Dome Award for “Best Sportscaster” and the Edward R. Murrow Award. You must be a CFO or related finance leader (Controller, etc.) with $1bn+ in revenues to attend.